Holistic Healing Program San Diego & Austin - Optimum Health Institute - Holistic Healing Program serving San Diego and Austin, call (800) 993-4325. Optimum Health Institute provides programs and services for a variety of conditions. Usually, it takes a spiritual revelation or a personal crisis for us to stop, reassess a tough situation, and transform our lives into expressions of joy, gratitude, success, and love. For author and speaker Byron Katie, it was a bit of both. It was 1986, and her multiple diagnoses of paranoia, depression, agoraphobia, and an eating disorder had landed her in a half-way house. She was lying on the floor of her room, marinating in self-loathing. At that lowest point of her life, the final indignity of a cockroach crawling over her foot suddenly shocked her into spiritual consciousness. She realized that if she stayed anchored in her dark thoughts, she suffered – but if she stopped believing the dire stories continuously playing in her mind, the suffering immediately stopped. From this epiphany, Byron Katie developed The Work – a four-question exercise and a ‘turn-around’ to help discern truth from fiction, and to reclaim our self-esteem and self-awareness. It’s an exercise that forces us to confront our subconscious programming from messages we’ve received since childhood. Answering each question honestly and completely releases us from non-productive emotional patterns and empowers us to recreate our world from a perspective of empowerment. The “turn-around,” in particular, pushes us way out of our comfort zone to reevaluate the issue from a completely different perspective. Frequently we discover a truth we’d avoided seeing – and this new wisdom can mentally, emotionally and spiritually set us free. Individuals and groups around the world quickly adopted the simple, direct and transformational nature of The Work. Schools, universities, corporations, hospitals, churches, prisons, and shelters are sharing this mindful exercise. 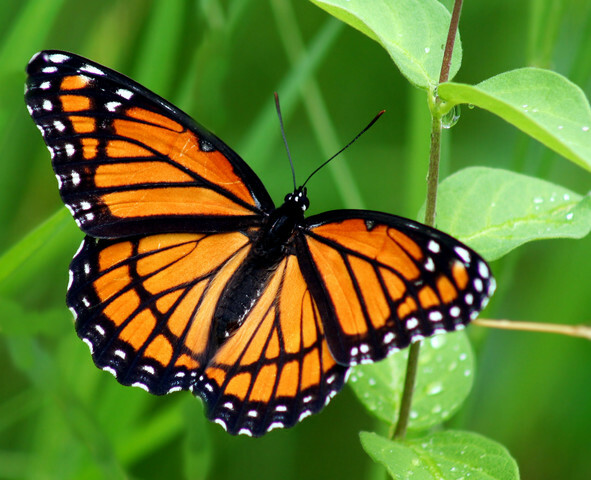 Experience your own transformation and make positive, powerful and lasting changes when you embark on a life-affirming visit to the Optimum Health Institute in San Diego or Austin, Texas. Our caring team can help you achieve your mental, physical, emotional and spiritual goals for optimal health. Visit our website at www.optimumhealth.org, and call us at (800) 993-4325 to make your reservation. Women in general and Mothers specifically are the healers in our society. Mothers are our first teachers – giving us life, nourishing and nurturing us, helping us navigate and thrive from our very first moment. Their love gave us roots and wings, and laid the foundation upon which we could build lives of purpose, joy, and more love. As we grow, our relationship with our mothers grows and transforms too. The dynamic can gradually shift from parent-child to two friends who delight in each other’s interests, passions, and goals. When the goal is adopting and maintaining positive healthy behaviors for longer, more fulfilling lives, mothers and their adult children – and fathers, too – frequently discover the transformational benefits of a stay at the Optimum Health Institute (OHI) missions in San Diego or Austin, Texas. OHI Austin’s new Executive Director Cheryl Green has seen many family members share the experience of going through the OHI healing lifestyle program since she joined the team in 1999. She particularly enjoys the special bond between mothers and their children as they encourage, inspire and celebrate each other’s successes. 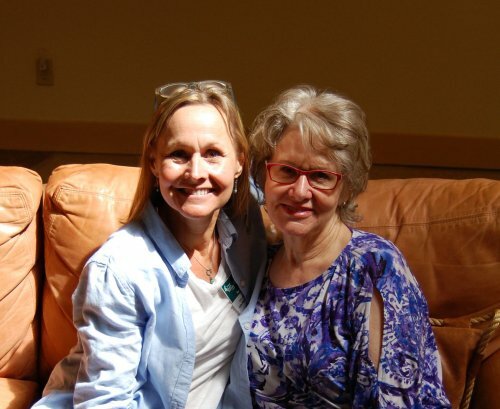 Evie Edington, an OHI Austin facilitator, has also observed how the unique bond between mother and child is enriched when the two share transformational time together. Amber Santa Cruz, OHI Austin’s new Guest Services Director, agrees that all who witness it are enriched by seeing the special love families share on their mutual journey to optimum health. Celebrate your mom, or your child, or a friend and share a life-changing week or two or three this Mother’s Day on May 12 at OHI’s healing missions in San Diego and Austin, Texas. Experience the energy boost and detoxifying benefits of an all organic, live, raw vegan lifestyle. Learn how to quiet the mind and rejuvenate the spirit. During your stay, our caring team will support your journey to optimum health and share the tools you need to continue the holistic healing lifestyle program at home. To learn more about OHI, visit our website at www.OptimumHealth.org. To make your reservation, call us at (800) 993-4325. Every year the Environmental Working Group (EWG)(1), a non-profit, non-partisan organization dedicated to protecting human health and the environment, publishes the a shopper’s guide regarding pesticides in produce. 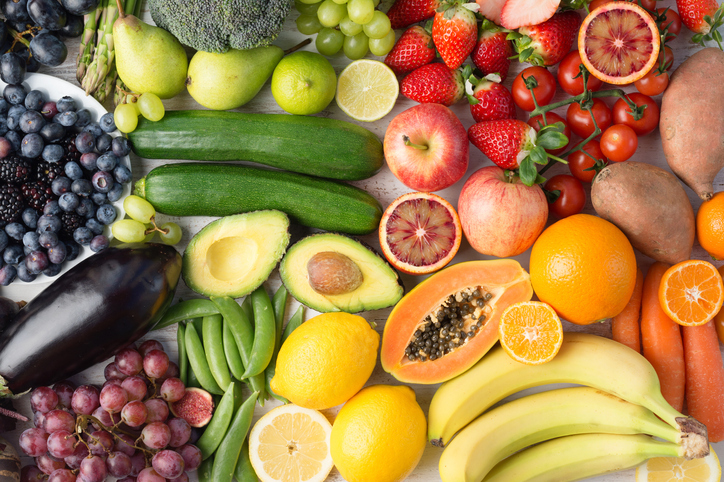 The EWG’s 2019 Shopper’s Guide to Pesticides in Produce™ is also known as the Dirty Dozen™ and the Clean Fifteen™. 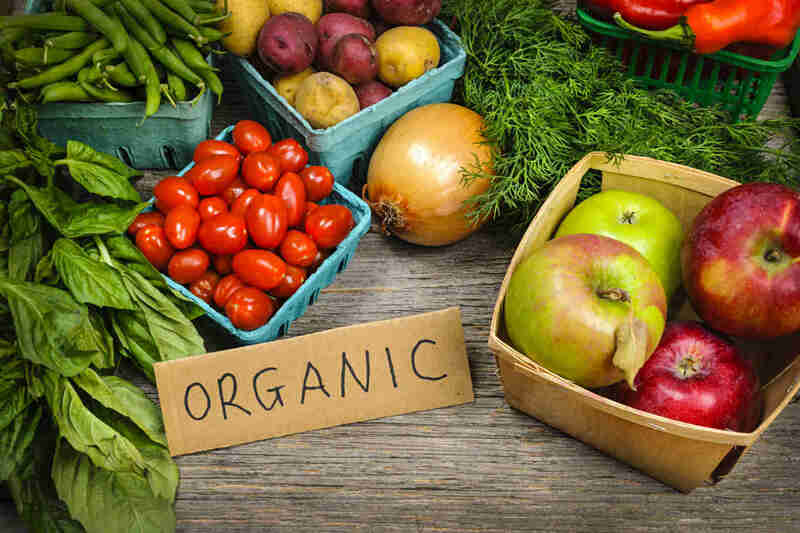 Organic foods offer a wonderful way to get the quality nutrition you need without the harmful pesticides and chemicals found in non-organic foods. The Dirty Dozen™ list guides you to produce you should always buy organic, while the Clean Fifteen™ lists fruits and vegetables that use the least amount of pesticides. The Dirty Dozen™ are twelve foods that you should buy organic whenever possible. If you have a limited budget for organic foods, these are the items from the produce section that you should spend your money on. Remember that the foods of the dirty dozen have a high level of pesticides that could hamper your natural healing efforts. The Clean Fifteen™ are foods that don’t need to be organic to get the best quality, the least amount of pesticides, and optimal natural health. Some of these fruits and veggies don’t retain pesticides, or very few pesticides are used in their production. Buy these foods as conventional produce and save your money for the dirty dozen. Remember that local foods aren’t always organic, but you can find local farmers whose produce has fewer pesticides than those found in the supermarket. Local and organic foods are good for natural healing and can be wonderful additions to your holistic health plan. Call us at (800) 993-4325 to learn more about our body-mind-spirit programs, in San Diego and Austin, today. If you want to find out more about holistic health and more tips on eating healthy foods in California, come to Optimum Health Institute. Spring is also the ideal time to renew, refresh and recharge your body, and blossom into the healthiest version of ‘you’ that you can be. Make this season the time you do an Optimum Health Spring Cleanse – from the inside out. 1. Choose a Plant-Based Diet. Opting for the freshest live, raw organic vegetables, seeds, nuts, and fruits, instead of animal proteins, is a smart start. Sprouted grains, packed with fiber, antioxidants and amino acids, boost the body’s ability to absorb nutrients and vitamins. 2. Plan Your Meals. Begin your personal spring cleanse by mindfully choosing what you put on your plate at each meal. Transitioning to a primarily raw plant-based diet helps the body detoxify, clears mental fog and benefits blood pressure, heart function and the entire digestive system. 3. Combine Your Foods for Optimum Digestion. Because the body digests different nutrients at different rates, how you combine your foods is as important as making the healthiest food choices. While it only takes about 15 minutes to digest apple juice, it can take up to three hours for the stomach to process a dense oily protein, like avocado. The protein will keep the juice in the stomach longer, causing it to ferment and distressing the system. 4. Optimize Digestion. Tangy fermented foods not only add delicious taste to your meals – they are bursting with probiotics. These beneficial bacteria spring-clean your digestive system by promoting better absorption of nutrients and minerals and crowding out unhealthy bacteria. 5. Promote Regular Elimination. Healthy digestion means regular elimination and a happy, healthy colon. This is achieved by choosing the right foods, eating them in the right combination, and regular colon cleansing. While smart food choices and combinations will aid in spring-cleaning your body, so will the enemas and implants, or E’s & I’s, you learned to do at OHI. Regular colon cleansing helps boost the immune system, leads to more energy and healthier skin, assists with weight loss and reducing acid levels, and even helps you concentrate more effectively. 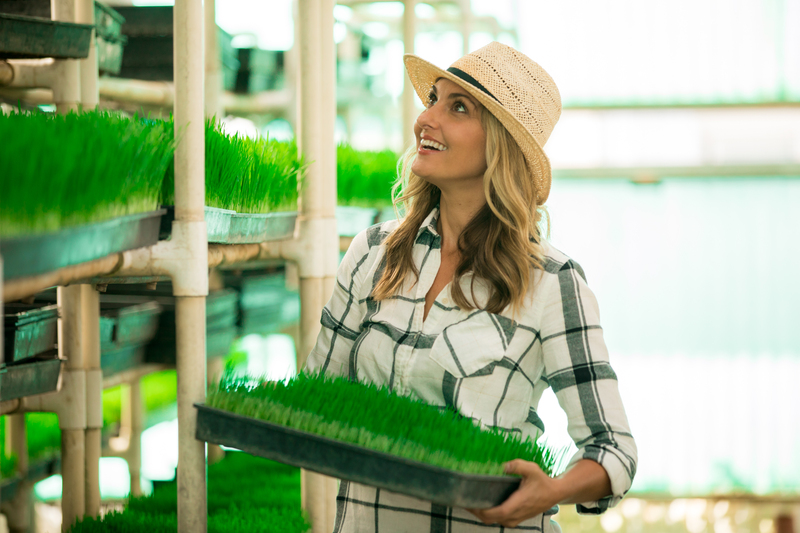 It’s National Health Month – so there’s no better time than now to take these five steps toward revitalizing your entire being with the Optimum Health Spring Cleanse. You’ll be thrilled with the results – from the inside out. Take the 14-Day Detox Challenge where you’ll learn how to relax, develop a positive attitude, and focus on what matters most to achieve a happy, fulfilling and healthy life. Weight Loss* – Women can lose about 5-7 pounds the first week and 2-3 pounds each week after. Men can lose about 7-10 pounds the first week and 5-7 pounds each week after. Increased Energy – Practice gentle exercise and walk every morning. Stimulate the lymphatic system to eliminate toxins, boost the immune system, and contribute to the healing process. More Radiant Skin – Eliminate toxins through juice fasting and eating our organic meals. Plus, you’ll make an organic face mask, apply it, relax, wash it off, and feel radiant! Sharper Mind – Learn alpha state meditation techniques that tap into your sub consciousness, access your creativity and intuition, visualize positive outcomes, and increase your awareness of God. Healthy Body – Practiced for many centuries around the world, detoxification is the process of cleansing the body to promote healing and longevity. Better Sense of Well-Being – Learn the spiritual disciplines related to breathing to release stress, control pain, increase emotional awareness, enhance concentration, and facilitate personal growth. Once you’ve completed the Detox Challenge you’ll look better, and you’ll feel like a new person. These changes are essential to a long-term healthy lifestyle. *This is not a weight-loss program. Weight loss varies per individual. Don’t Miss Out on This Powerful Detox Opportunity! Conscious breathing, the deep, rhythmic inhalation that fills the lungs and pushes out the belly, is a practical, positive way to neutralize nervous tension. “Belly breathing” immediately switches on the parasympathetic nervous system to release stress, reduce anxiety and blood pressure, and increase energy levels. 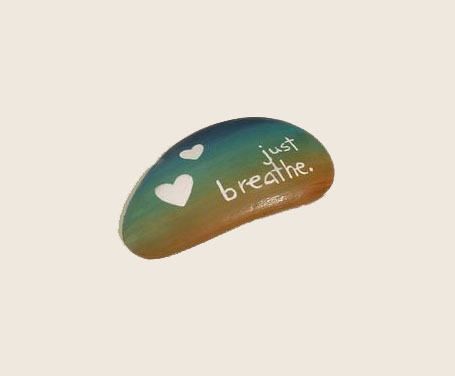 It instantly produces a relaxation response, which puts you in a profound state of contentment and peace. Meditation, yoga and muscle relaxation can be incorporated with conscious breathing to enhance the positive benefits. Besides rushing oxygen to your brain to give you clarity and focus, conscious breathing delivers waves of oxygen to every cell, facilitating the release of toxins throughout your body as it simultaneously pumps up your speed and endurance. Medical research shows a conscious breathing practice can help prevent subsequent myocardial infractions in heart attack patients. Increasing emotional awareness and releasing past hurts. People suffering from anxiety, depression, addictions, low self-esteem and even weight issues were able to better handle their health opportunities with a regular practice of conscious breathing. Reducing both chronic and acute pain. Conscious breathing is an important component of the Lamaze method of natural childbirth, which was first popularized in the 1950s. Personal and spiritual growth. All major spiritual traditions incorporate conscious breathing into their practices. Deep breathing helps facilitate a spiritual connection to the divine by triggering love, joy and forgiveness. It also enhances our awareness of our unity with everyone and everything in the universe, bringing optimum health and balance to the body, mind and spirit. Find a quiet place (no, not the movie). You’re looking for a spot where you won’t be interrupted. Sit or lie down. Go ahead. This will only take a moment. Take a normal breath. Simply inhale and exhale once at a normal rate (we usually breathe at 10-20 breaths/min). Then inhale deeply. Now breathe in slowly through your nose. Allow your chest, then your belly, to rise for a count of four. Observe how your abdomen expands fully as your lungs fill with air. And exhale slowly. Breathe out through your mouth or nose. Don’t force it. Let it come easy for a count of four. Commit time to practice. That felt good, right? Now practice at least 10-20 minutes daily for maximum results. OK, it’s been almost two months since you started the New Year full of optimism and good intentions to really follow through with those resolutions this time. How’s that working for you? If just about everything you resolved to accomplish has fallen by the wayside, spring, the season of growth and renewal, is the perfect time to tackle your goals the right way. First of all, you have to feel a passionate connection to your objective. Pick a specific goal that’s in alignment with your values, and you’re much more likely to see it through. Write down that goal – the act of putting it on paper, or keying it into your electronic device, affirms and focuses your intention. The most effective goals are SMART – S pecific, M easurable, A ttainable, R elevant and T ime Bound. If your goal is, “Get Healthier,” be very specific with what you desire to achieve. Lock in specific action steps, like, “Get up 20 minutes earlier to meditate every morning,” and, “Exercise at least 30 minutes every day.” The more specific you are, the easier it will be to stay on track. By taking the time to set measurable goals right from the start, you’ll be able to monitor your progress in very real and tangible ways. One tendency we have is to set completely unrealistic goals that are impossible to achieve. If you love to sink you teeth into a giant burger daily, chances are your desire to “Go Vegetarian Starting Today” is not going to happen. Instead, starting with one meatless day the first week, and gradually increasing the number of days every few weeks, gives you the opportunity to realistically and permanently change your behavior. So now, let’s say you’ve strategically set SMART goals, you wrote down specific action steps, and you’re starting to see results. It’s time to celebrate! While stopping to congratulate yourself on your progress might seem unnecessary or immature, it’s actually one of the best motivators. In her book, The Progress Principle: Using Small Wins to Ignite Joy, Engagement and Creativity at Work , Harvard Professor Teresa Amabile, PhD, shares her research proving that marking minor achievements is the most effective way to inspire people to continue on track for achieving other objectives, both large and small. Besides making business sense, celebration is also a spiritual discipline. Enjoying the fellowship of like-minded people, expressing gratitude for your achievements and sharing the fruits of your labors enrich your spiritual connections to everyone and everything in your life, and to God. Learn how to set SMART goals for transforming your body, mind and spirit when you embark on a life-affirming visit to the Optimum Health Institute in San Diego or Austin, Texas. Our caring team can help you achieve your mental, physical, emotional and spiritual goals for optimal health. Visit our website at www.optimumhealth.org , and call us at (800) 993-4325 to make your reservation. It makes sense that a key component of an effective detoxification diet is completely live, raw, organic vegan food and juices . 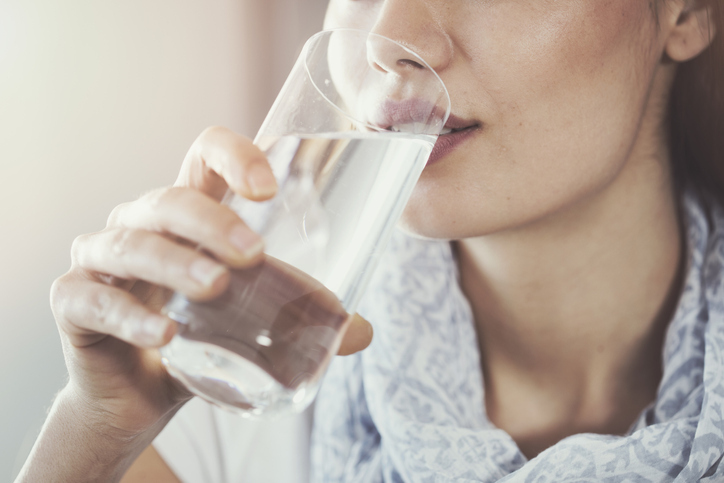 What might not be as obvious is that the quality of the water you drink during the detoxification process is just as important for optimum results. The purest alkaline reverse osmosis water with a pH of 7.3, said Amber Santa Cruz of Optimum Health Institute (OHI) Austin, Texas, is ideal. 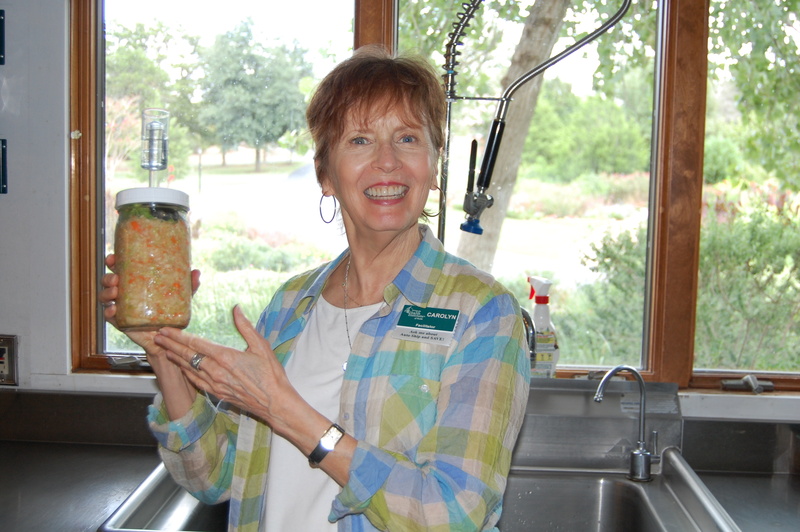 Amber is the Kitchen and Grow House Manager for OHI Austin. The OHI San Diego healing mission has been providing the purest drinking water to guests from a custom designed water filtration system since 2009. OHI Austin has also revamped its water filtration system, and now also provides the highest quality water to accompany the detoxification program. Before the water travels to two dedicated taps, one in the OHI Austin kitchen, and the other at a dining room station, it passes through an elaborate filtration system. Chlorine, fluoride and total dissolved solids – the term for organic materials, magnesium, phosphorous, bacteria and other toxins – are scrubbed from the water through reverse osmosis and carbon filtering. A UV filter zaps microbes. Then, a mineral infusion adds electrolytes essential for healthy body chemistry, and a coconut filter softens the water and ensures a clean, light, delicious taste. Acquiring all the information needed to know what type of system would be best for OHI was a long, demanding process; planning alone took approximately six months. Amber researched exactly what was in the municipality’s water supply. She spoke with numerous water experts, and studied possible components for the filtration system from every angle. Each potential challenge was examined, like how removing all chemicals from a water supply could cause undesirable growth of possibly harmful biofilm in water pipes. Amber and the team of experts working on the project determined that positioning the filtration system closest to the taps for the kitchen and dining room station would minimize the risk of algae growth, and maintain the pristine state of the reverse osmosis water for drinking and food preparation. Amber strongly urges people to talk to their local water authority and go online to examine the required public documents detailing the composition of their local water. Then, they’ll be able to decide what type of filtration system, if any, might be appropriate for home use. Drink the purest pH balanced water for a week – or three – as you detoxify your body, quiet your mind and rejuvenate your spirit at OHI missions in San Diego and Austin. Our caring team will support your journey to optimum health and give you the tools you need to continue following the OHI healthy lifestyle program at home. Visit our website at www.optimumhealth.org , and call us at (800) 993-4325 to make your reservation. Do you truly love yourself? On the surface, this question might sound like a no-brainer, but when many people take the time to really sit with it and think about it deeply, they often find that the answer is more complicated than a simple yes or no. At OHI, we think of self-love as a holistic healing practice, and an ongoing process, rather than a simple affirmation. Self-love involves bringing body, mind and spirit into harmony, and maintaining this alignment requires a great deal of focus and dedication. Two of the key aspects of self-love are acceptance and forgiveness. We have all felt at one time or another that we—or parts of ourselves—were ‘unlovable’ in some way. We carry around powerful burdens of guilt, regret, shame and trauma. And the spiritual and emotional weight of these burdens often prevent us from having the will or drive necessary to heal ourselves, or seek healing in the first place. That’s why self-love begins with recognizing the crucial connection and interdependence of mind, body and spirit. When we open ourselves up to self-acceptance and forgiveness, we begin to free ourselves from the many burdens that keep us from living healthy, joyous lives. Week One : In week one we focus on the mind, body, spirit connection by cleansing the body with a detoxifying, nutrient rich diet, calming the mind with regular meditation, and renewing the spirit with daily reflection, inspiration and prayer. Week Two : In week two, guests already have begun to feel the renewed energy and positivity that comes with cleansing and detoxifying mind, body and spirit. 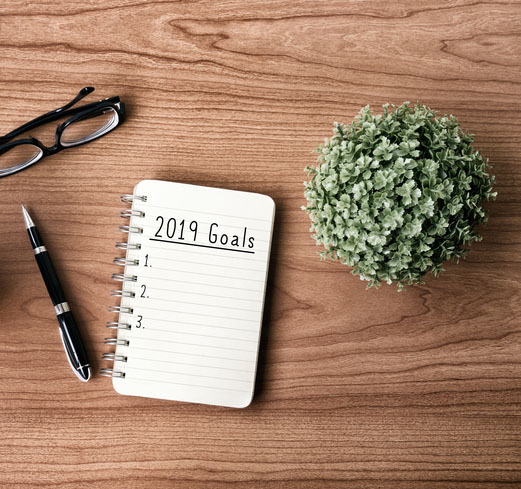 This is also when we begin learning and exploring the various tools to support us in setting our goals, and making healthier choices for ourselves. Week Three : This is far and away the most popular week of the program because this is when our guests begin to deeply internalize the process of self-love and learn to integrate it into their lives, propelling them toward continued physical, mental and spiritual health in their lives outside the OHI community. Self-love sounds simple enough, but bringing mind, body and spirit into sustained balance, joy and lasting health requires a great deal of focus and maintenance. Self-love is a journey, and that journey begins right here with the warmth and compassion of the OHI community. 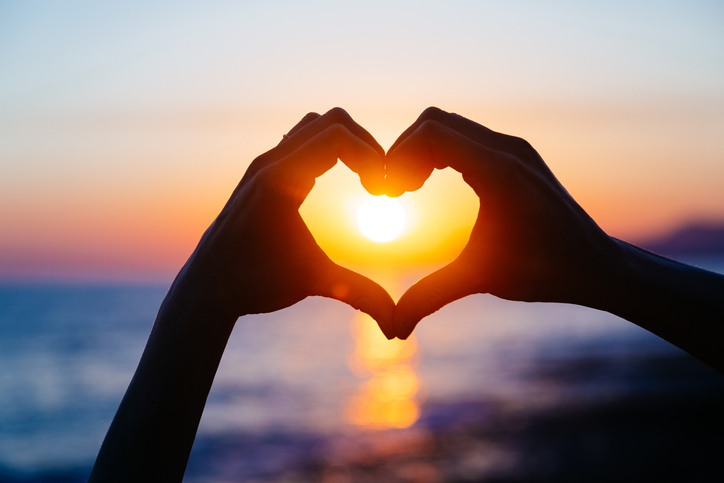 The OHI program is a holistic way to enrich your body, mind and spirit – and show yourself some love. Visit our beautiful retreat centers in San Diego and Austin. Call (800) 588-0809 today to book your retreat.